Deacon Ken Ewaskie was educated by the Sisters of Mercy of Assumption School in Ansonia, Graduated from Ansonia High School, and received his Bachelor of Science, Master of Science, and Sixth Year diploma of Advanced Graduate Study from Southern Connecticut State University. 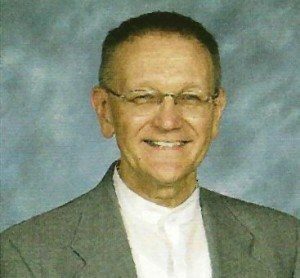 He was both a teacher and a principal in the Seymour school system and is retired after serving for 35 years. After six years of preparation in the Diaconate formation program, he was ordained in 2004 and assigned to the Church of the Good Shepherd in Seymour. He is a graduate of the Archdiocesan Catholic Biblical School, and is presently pursuing an advanced graduate degree in Sacred Scripture at Holy Apostles College in Cromwell. His ministries include the formation of Altar Servers, training of Readers, Baptismal Preparation, updating Extraordinary Ministers of Holy Communion, catechising Confirmation candidates, teaching in the RCIA program, presiding at wakes and committment services, and ministering to the sick in the parish.